Posted on August 2, 2014 by cnxsoft - 10 Comments on XBMC is Dead, Long Live Kodi Entertainment Center! Don’t worry, the XBMC project that many people use and love is not really dead, but it won’t be called XBMC anymore. Developers have chosen to go with “Kodi Entertainment Center”, starting with version 14, which will be called Kodi 14, and not XBMC 14. Nothing else changes from the user’s perspective, and the code will still be licenses under GPL 2.0, but the name Kodi is now trademarked, and it may affect how websites and hardware vendors use Kodi name and logo. There are several reasons behind the name change, the fourth for the project. Initially it was called Xbox Media Player, then changed to Xbox Media Center as it could do more than just a media player, and finally the name was shortened to XBMC because it could run on various hardware, and not only Xbox. Forward to 2014, XBMC is barely supported on Xbox, and does not run at all on Xbox 360 or Xbox One. Beside, the developers would be vulnerable to potential legal challenges since they don’t own Xbox trademarks. This explains why they chose to change the name. The developers however did not explain where Kodi is coming from. XBMC / Kodi is now much more than a media center, as it supports add-ons, can load games, stream content from various website, and I’ve even seen some company completely replace Android Home Screen with XBMC to launch apps, access settings and so on. That’s why Kodi have been promoted to “Entertainment Center”. Details are still being worked out, and the logo shown above may not be the definitive one, the FAQ related to Kodi trademark is also work in progress. Anyway, XBMC 13 will be the last XBMC release, after which it will be time to say “Bye Bye”, and welcome Kodi 14. “The thing we all liked about Kodi was that you could spell it using remote control buttons. Like the K is skip back. O is stop. D is play”. IMHO instead of final I, i’m aspected for a II (pause button). 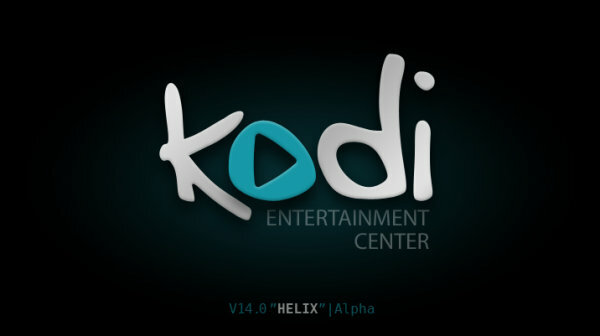 I should be Kodi 1, not 14 as it is the first release under the new name. Apparently they’ll keep using the old versions with the new name.